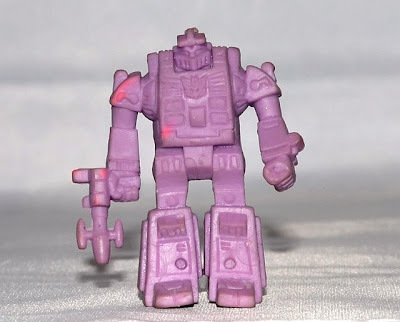 What: Small rubber, eraser-like versions of Transformers characters. In the U.S., these figures were available in two colors: light purple and red. In Japan, where they originated, they were available in additional colors such as yellow, blue and green. 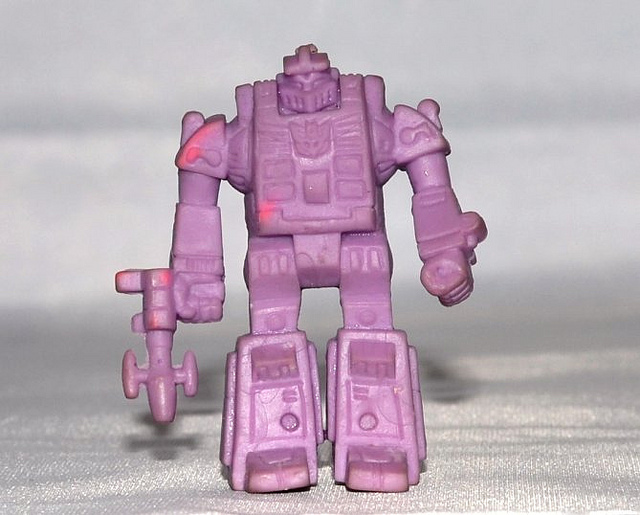 Where: The figures originated in Japan, but were brought to the U.S. market in 1987 and sold with other Transformers toys.